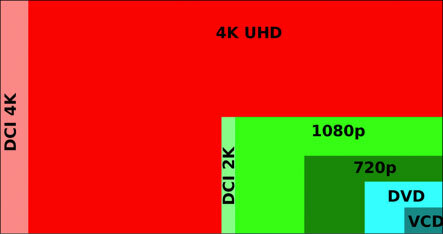 By now, you’ve probably heard about 4K video. Its the next big thing. Literally. I liken it to the launch of High Definition, or HD video, when folks were scratching their heads wondering what that was all about. For consumers, it’s a very similar situation. 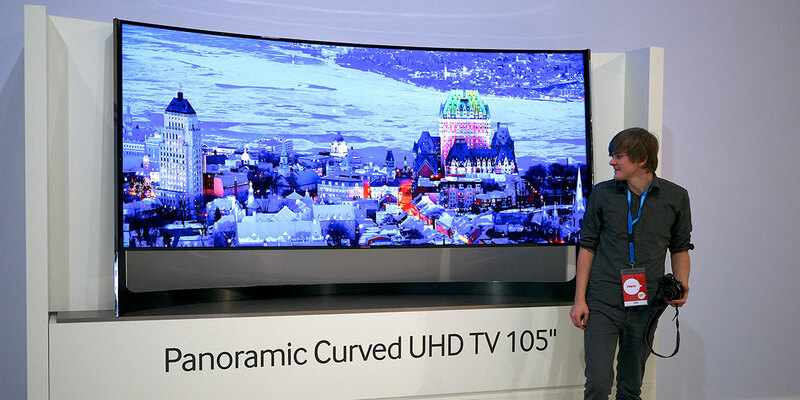 At some point in the next couple years, you will look into buying a 4K TV. If you’re a cutting-edge home entertainment person, you may have already made the purchase. What the 4K references is the video frame size, or resolution, of 4,000 horizontal pixels, like 4096 x 2160, which is now a 4K film and video production standard. Just like HD did when it landed, the 4K video frame is bigger & better than what we are currently used to, and provides a much more vibrant and crystal-clear image. Here is a graphic that shows the sizes in comparison. So do you need to rush out and get a 4K TV? - Well, did you rush out and get an HDTV? Honestly, it will be years before the FCC requires broadcasters to provide a 4K signal. Remember when HD started to become prominent? The broadcasters were sending two signals, an SD and and HD, and some didn’t even make the change over...and then finally the FCC picked a date when all stations had to finally be broadcast in HD. I share this from Elisabeth Tweedie, the Associate Editor of Satellite Briefing Magazine, “Is this a Technology Push or Demand Pull? Right now we’re clearly still in the technology push stage. HD was in that stage for nearly twenty years before it became a commercial reality. If it’s going happen, 4K or Ultra HD won’t take that long – if for no other reason than the fact that 8K is already lurking in the wings; but also because TV replacement cycles are now much shorter. So if the consumer believes in the product the demand will manifest itself in the next few years. You Landed Your First Video Gig! Now What?